Talent Trends 2014, our latest global research report, is now available for download. We surveyed 18,000 fully-employed professionals in 26 countries to find out what’s on their minds when it comes to jobs and career management. The results are a fascinating snapshot of today’s global workforce and what makes them tick. Today I’ll dwell on only one of the several questions we asked – whether professionals self-identify as passive or active candidates – because it means everything to your recruiting strategy. Good news: 85% of the workforce want to hear from you. Our research shows that three-quarters of the fully-employed workforce around the world consider themselves passive candidates, or not actively looking for their next job. But as you delve into the data, there’s more nuance to that factoid than you might initially think. 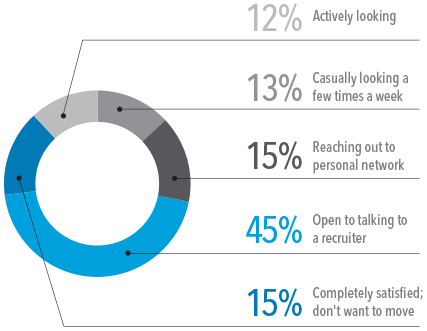 It turns out that 15% of working professionals are surreptitiously starting to talk to their network, and a whopping 45% are totally open to considering a new opportunity when approached by a recruiter. 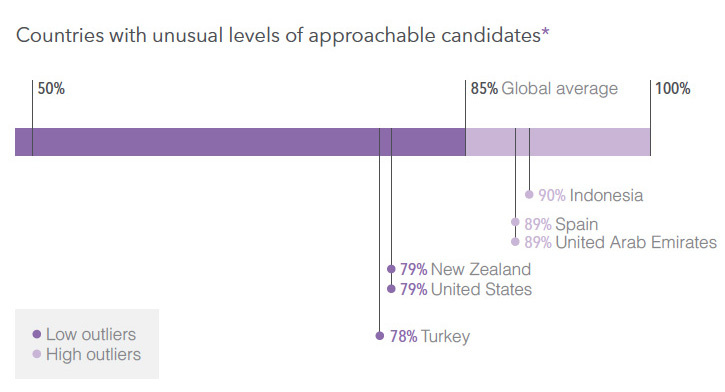 In other words, when you add these "approachable" passive candidates to the 25% who say they are actively looking for a new job, 85% of the global workforce should be considered fair game. So if 85% of fully-employed professionals are actually up for grabs, does that render the active-or-passive discussion irrelevant? Not at all. Passives still aren’t looking, so you still can’t rely on traditional job boards or other active talent strategies to reach them. But their typical receptiveness to relevant openings creates a vast opportunity for today’s recruiter. Your mission is to get into your target audience’s line of sight via whatever means you can. To warm them up as a sales and marketing team would a potential customer. To influence their perception of your organization as a place to work - so that, when the right career comes up, they are more likely to click on the opportunity or say yes to a conversation. 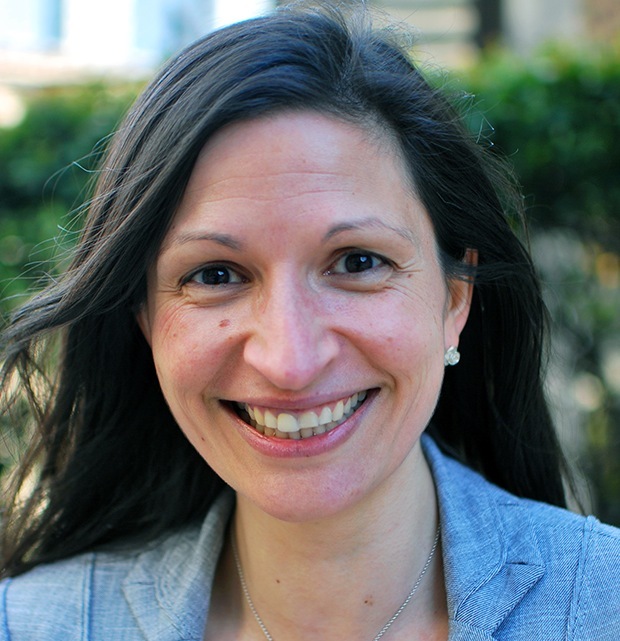 In other words, you need to reimagine the candidate journey as traveled by passive talent and be a discoverable, compelling, and authentic tour guide as they find their way. And what of those who aren’t on the market? Only 15% of today’s workforce are ‘super-passive’ candidates, claiming to be completely happy in their current role and not interested in discussing a new opportunity. This population has shrunk from 20% since we last published statistics in 2012, a reflection of the fact that global transparency – of professionals, of opportunities, of company workplace cultures – is on the rise as online social/professional platforms continue to expand and the economic graph takes shape. All things considered, it’s actually quite hard to be super-passive these days. One last thing: the stats above are global aggregates, and there are sizable distinctions across countries (an incredible 44% of professionals in the United Arab Emirates are active candidates, for instance, while only 16% of Swedish professionals are looking). Net-net, this bodes well for proactive talent acquisition teams everywhere. Seek and ye shall find; fortune should favor your boldness. But as it becomes more and more common for talent to hear from similarly proactive recruiters or be exposed to other companies’ talent brands, you’ll need to be at the top of your game to figure out what makes a satisfied passive candidate tick and how to win them over. Speaking of which… there’s a wealth of information on that, and much more, in Talent Trends 2014 – download your free copy to understand what’s on the minds of the professional workforce in 26 countries around the world.